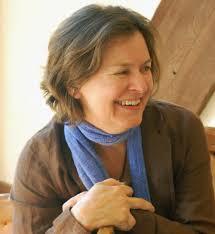 A few years ago, a friend urged me to read Karen Joy Fowler’s We Are All besides Our Selves. This story told of animal rescue people who plan to release a number of caged chimpanzees used in experimentation. As much as I liked Besides Ourselves, this Fowler novel adds to my admiration of Fowler, while adding to my collection of books with a book club theme. The Jane Austen Book Club pre-dates the first Fowler I read, and it is a worthy addition to my collection. A “Prologue” lists the members and adds a thumbnail description of their interests and background. Here are main characters. Fowler writes, “Each of us has a private Austen. // Jocelyn’s Austen wrote wonderful novels about love and courtship, but never married. The book club was Jocelyn’s idea, and she handpicked the members. […] Bernadette’s Austen was a comic genius. Her characters, her dialogue remained genuinely funny, […] Prudie had once seen Bernadette in the supermarket in her bedroom slippers; she was the youngest at twenty-eight. […] // Jocelyn met Sylvia when they were both eleven years old; they were in their early fifties now. Sylvia’s Austen was a daughter, a sister, and an aunt, […] who wrote her books in a busy sitting room” (1-2). Corinne, Sylvia’s daughter, was the fifth member. Bernadette suggested, “I think we should all be women, [ ] The dynamic changes with men. They pontificate rather than communicate. They talk more than their share’” […] “Besides, men don’t do book clubs, […] They see reading as a solitary pleasure. When they read at all” (3). Lastly, the sixth member was Grigg. Fowler writes, “None of us knew who Grigg’s Austen was” (4-5). I really enjoyed watching these six people reveal their innermost feelings about Jane Austen and each other. Incidentally, our club has several male members who admirably participate. My only regrets about this book is the limited number of members—my club averages about 10-16 per meeting, but the novel only accounts for six meetings. In an epigram, Fowler quotes Austen’s great novel, Emma, “Seldom, very seldom does complete truth belong to any human disclosure; seldom can it happen that something is not a little disguised, or a little mistaken.” My love of Jane Austen is second only to the Brontës. I feel the urge for an Austen survey in the near future. In one interesting discussion, the group creates “A partial list of things not found in the books of Jane Austen: locked-room murders; punishing kisses; girls dressed up as boys (and rarely the reverse); spies, serial killers; cloaks of invisibility; Jungian archetypes, and most regrettably, doppelgängers; and cats” (43). Allegra weighs in with a criticism of Austen. Fowler writes, “Alegra was trying hard not to express any of Corinne’s opinions, but every time she spoke, Corinne’s words came out. Corinne was in no mood to praise a writer like Austen, who wrote so much about love when the world was full of other things, ‘Everything in Austen is on the surface,’ Corinne said. ‘She’s not a writer who uses images. Image is the way to bring the unsaid into the text. With Austen, everything is said’” (74). I found the discussions of this club fascinating. I also see many of my friends in our club sharing the same thoughts. I am happiest when not everyone agrees to love, like, or hate a particular book. Sharing this small corner of the 18th and 19th centuries is what I love most about literature. If you haven’t read Austen in a while—or at all—she is certainly worth the time and effort for many wonderful stories. Karen Joy Fowler’s The Jane Austen Book Club is an enchanting place to begin or revisit the world of Jane Austen.